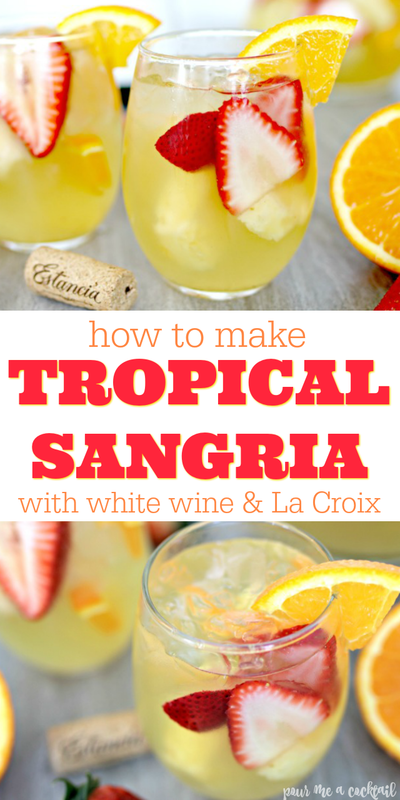 If you like sangria, then you will absolutely love this Tropical White Wine Sangria Recipe! It makes a whole pitcher, is full of delicious fresh fruit and topped off with Orange La Croix! 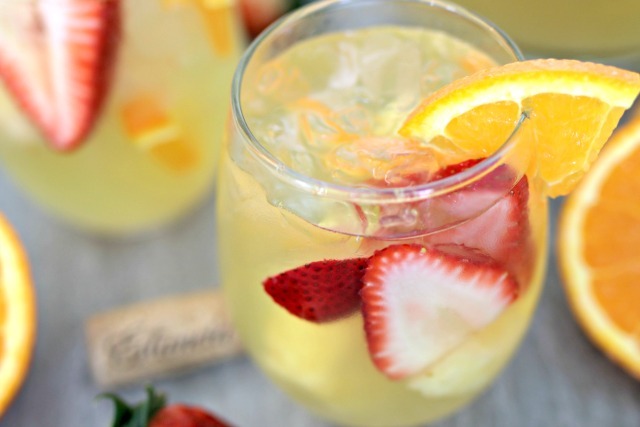 Summer is right around the corner, and it’s the perfect time to make sangria! I love creating different sangrias. They are so versatile, and can be made with either red wine, white wine or rose’, and can be made in so many amazing flavors. We are longing for the long days of summer, and I can’t wait to get to the beach and put my toes in the sand, so I’m on a tropical drink kick right now. 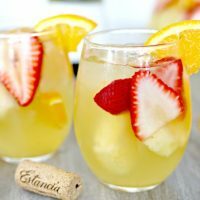 Last week, I shared my go to Tropical Prosecco Mimosa Recipe, and today I’m excited to share my new favorite sangria…Tropical White Wine Sangria! Feel free to follow my exact recipe, or change it up a little and make it your own! Step 1 – Slice 6-8 strawberries, 2 oranges and 8 chunks of fresh pineapple. Step 2 – Fill a pitcher with a bottle of your favorite white wine. I used Estancia Chardonnay for mine. Step 3 – Add 1/4 cup of coconut rum, 1/4 cup of orange liqueur and 1/2 cup of pineapple juice. Stir together. Step 4 – Add 1/2 can of orange flavored La Croix and stir gently. Step 5 – Fill wine glasses with ice and 3 slices of each fruit. 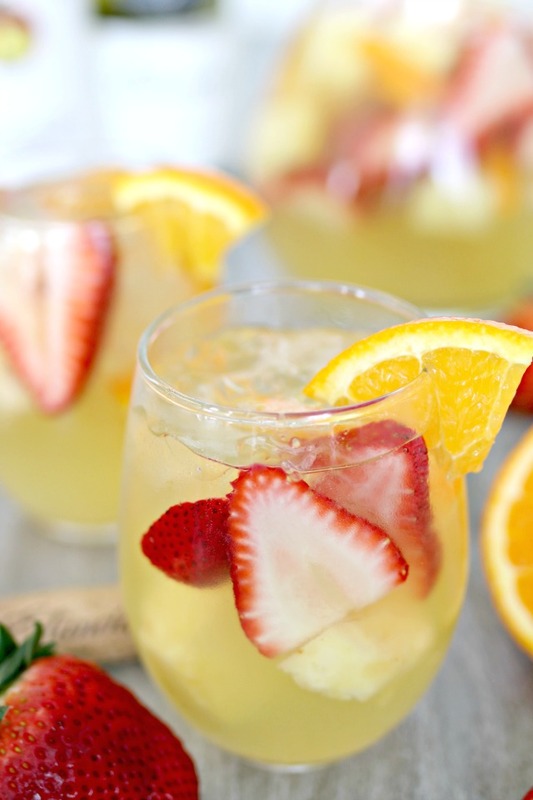 Step 6 – Pour your amazing sangria into the wine glasses and garnish with a slice of fresh fruit. Enjoy! Add the fruit to a pitcher, then pour in the bottle of wine. Next, add the coconut rum, orange liqueur and pineapple juice. Stir together using a long spoon. Add the orange La Croix and give it another stir. Serve in wine glasses over fruit slices and ice. 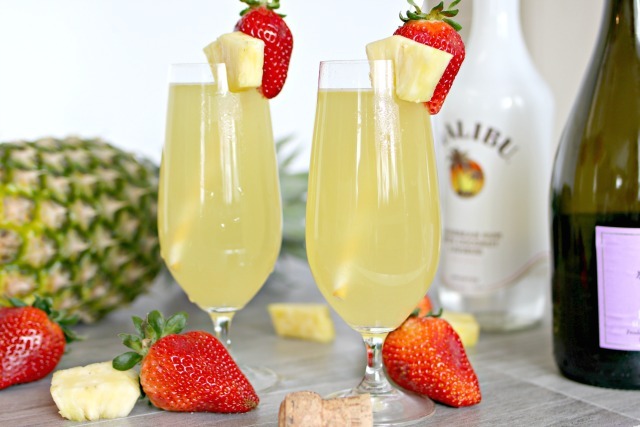 These Tropical Prosecco Mimosas are the perfect cocktails for summer brunches! 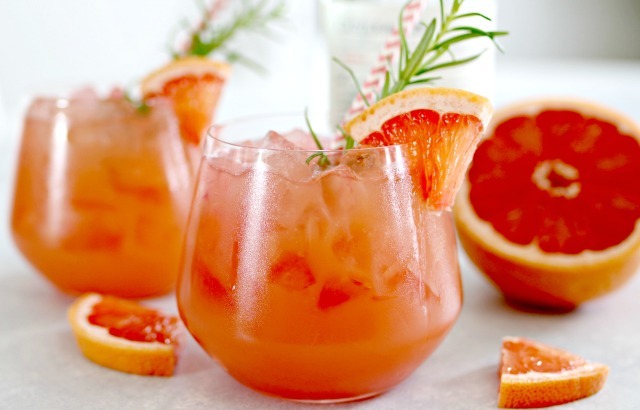 Another fun option for brunch or to enjoy in the heat of summer is this delish Grapefruit Sunrise Cocktail! Love margaritas, but not the guilt that comes with their calorie intake? 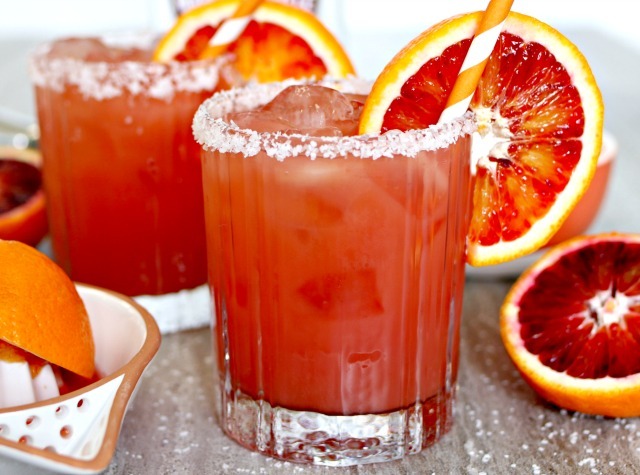 Then these Skinny Blood Orange Margaritas may just be your new summer go to drink!